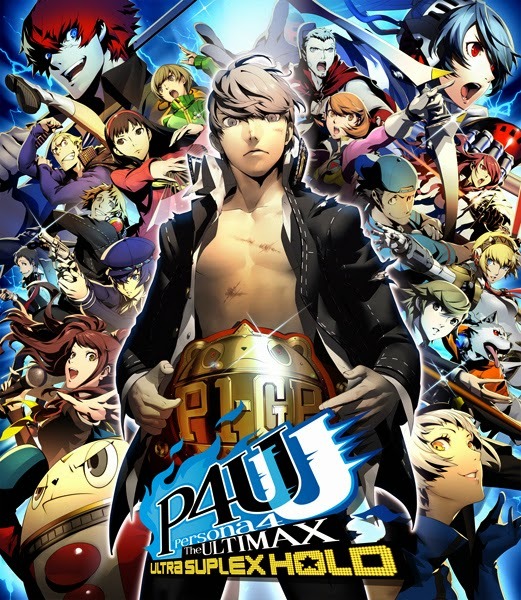 JRPG Jungle: Persona 4 Arena Ultimax Japanese Box Art is Unveiled! Persona 4 Arena Ultimax Japanese Box Art is Unveiled! Atlus has unveiled the cover art for the Japanese cover of Persona 4 Arena Ultimax/Ultra Suplex Hold. It features the entire announced cast of the game - including the new characters, some shadows and a little Adachi on the left! In short - I need this as a poster in my room. This is so awesome! You can pre-order your copy of Persona 4 Arena Ultimax for PS3 and Xbox 360 from Amazon or Play-Asia (Play-Asia also has the Japanese version! ).